Lots of goodies came this week! Abby knows she’s not supposed to chat with random guys online. But Luke isn’t random, and he isn’t a stranger. Best of all, he loves her. So what if she never goes out with her friends anymore and her grades are slipping? All she needs is Luke. Luke is her secret, and she’s his – it’s perfect that way. So when Luke suggests that they meet each other in person, Abby agrees. And then she’s gone. Missing. Without a trace. And everyone is left to put together the pieces. If they don’t, they’ll never see Abby again. 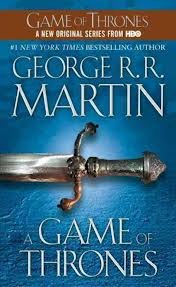 In A Game of Thrones, George R.R. Martin has created a genuine masterpiece, bringing together the best the genre has to offer. Mystery, intrigue, romance, and adventure fill the pages of the first volume in an epic series sure to delight fantasy fans everywhere. 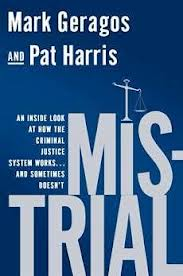 In Mistrial, Mark Geragos and Pat Harris debunk the myth of impartial American justice and draw the curtain on its ugly realities – from stealth jurors who secretly swing for a conviction to cops who regularly lie on the witness stand to defense attorneys terrified of going to trial. Ultimately, the authors question whether a justice system model drawn up two centuries before blogs, television, and O.J. Simpson is still viable today. In the aftermath of recent high-profile cases, the flaws in America’s justice system are more glaring than ever. Geragos and Harris are legal experts and prominent criminal defense attorneys who have worked on everything from celebrity media-circuses to equally compelling cases defending individuals desperate to avoid the spotlight. Mistrial’s behind-the-scenes peek at their most fascinating cases will enthrall legal eagles and armchair litigators alike – as it blows the lid on what really happens in a courtroom. As her husband, Nick, and daughter, Lindsey, embark on a weekend camping trip to the Texas Hill Country, Abby looks forward to having some quiet time to herself. She braids Lindsey’s hair, reminds NIck to drive safely and kisses them both goodbye. For a brief moment, Abby thinks she has it all – a perfect marriage, a perfect life – until a devastating storm rips through the region, and her family vanishes without a trace. Awesome mix of books! Evidence of Life sounds intriguing. And Want to Go Private really stuck with me…unsettling topic! You’ve got some really mysterious books this week. I particularly like the sound of Evidence of Life and Want to go Private. 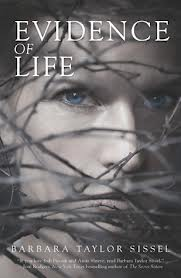 I love the cover for Evidence of Life so I’m looking forward to hearing your thoughts on that one when you finish. I hope you enjoy all of these!